The nomination period is currently open! Nominations are due by January 9, 2019. 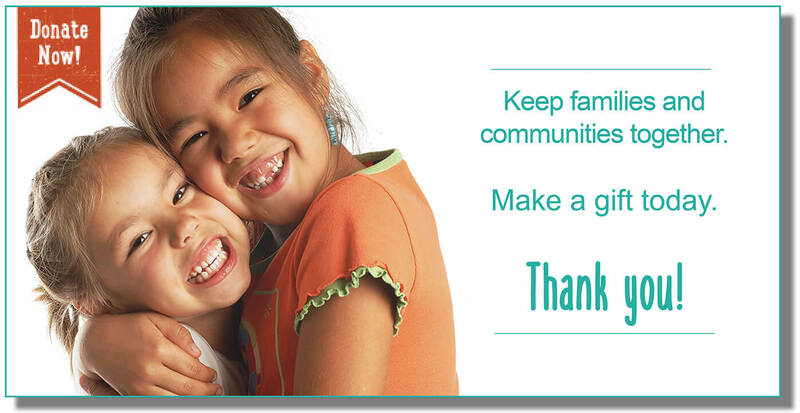 Do you know of an incredible leader, social worker, case manager or foster parent in your community who is doing awesome work for our children in the foster care system? 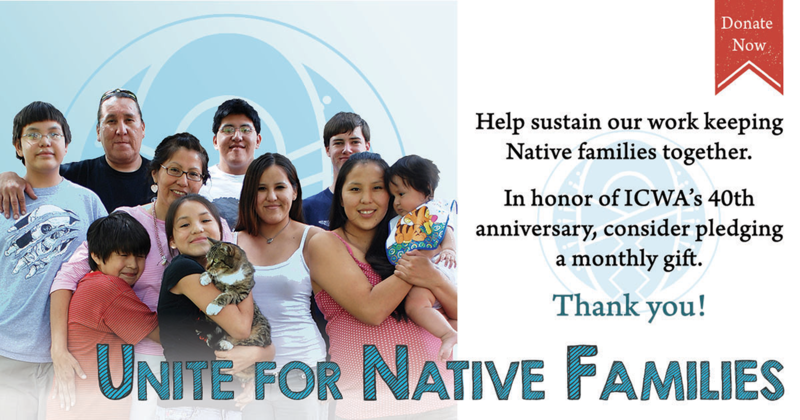 If so, nominate them for NICWA’s highest honor, the Champion for Native Children Award. 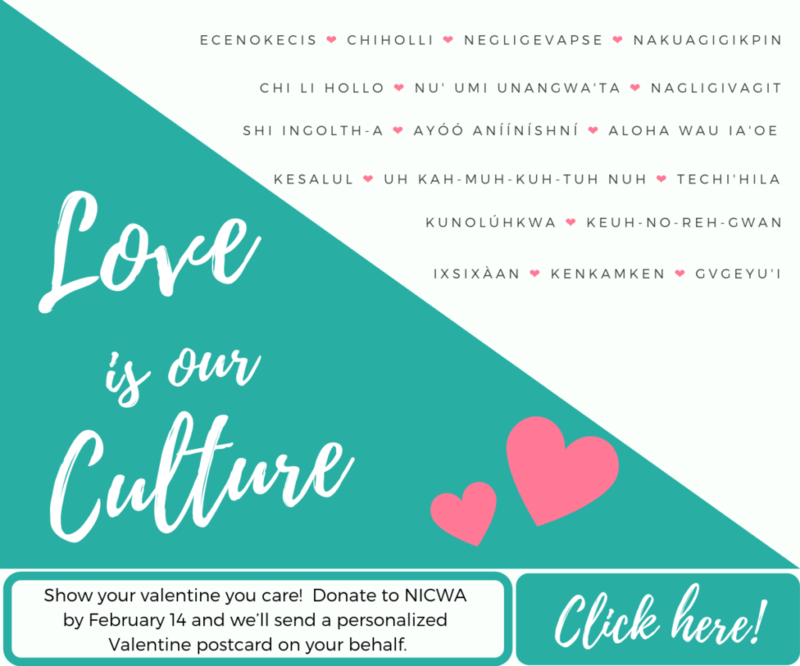 This annual award honors an individual or organization that has made outstanding contributions to the well-being of Indigenous children, families, and communities in the United States or Canada. 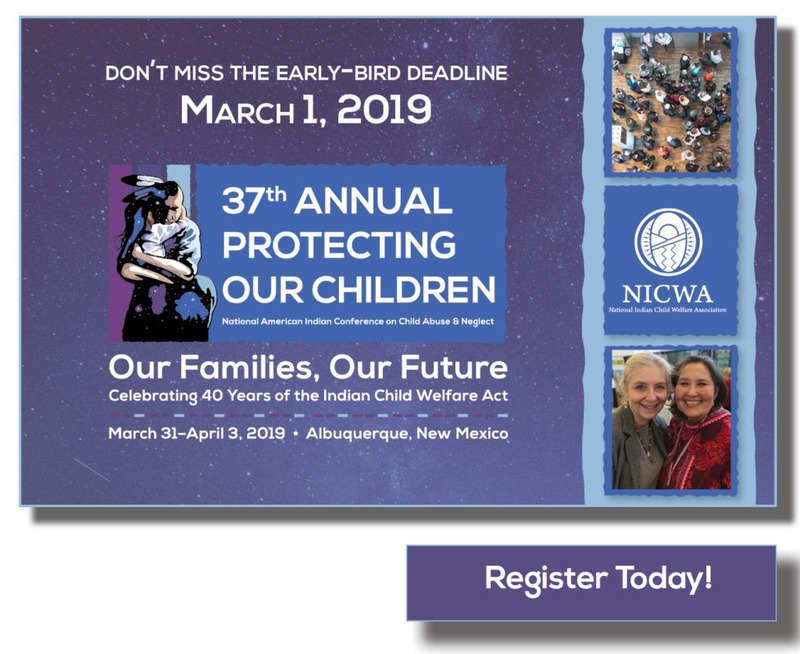 The awardee will be honored at NICWA’s 2019 Protecting Our Children National American Indian Conference on Child Abuse and Neglect in Albuquerque, New Mexico, on March 31–April 3, 2019. A significant body of work that spans several years, or evidence of lifelong service, to promoting the well-being of Indigenous children and families and strengthening tribal sovereignty.